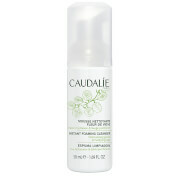 Remove make up and impurities without affecting your skin's natural pH balance with Gatineau Gentle Silk Cleanser. Suitable for even the most sensitive skin, it won't cause irritation or stinging, so you can achieve wonderfully cleansed and refreshed skin without suffering discomfort. Directions for use: Apply to face morning and night using your hands, then rinse with water.